Your Team Will Be Top Shelf! We don't cut corners on our clients projects. When you hire Ball Media Innovations, you'll get only extremely experienced crew members who will be easy to work with and highly professional. They're committed to excellence and to making you happy. We do this at competitive rates. We can hold on-the-spot interviews, or we can create a set where we can hold interviews away from the crowds. We’re particularly effective at drawing out great testimonials, comments and sound bites from the interviewees. We’ve videotaped more speakers than we can count. This has included keynote conference & meeting speakers Jay Leno, Ken Blanchard, Magic Johnson, General Joe Theismann, Norman Schwarzkopf, Mary-Lou Retton, Don Shula, Tom Peters, as well as a large variety of professional speakers, trainers, corporate executives, politicians, doctors and other medically oriented speakers. Depending upon what you’ll be doing with the footage, we’ll shoot it strategically, in a way that’s designed to help you meet your goals. Whatever your needs, we can produce videos for your website. For example we can turn your footage into a promo video that promotes next years’ event. Or we can take all of the training and speaker sessions and prepare them for online use. Read more about our social media and web video production. 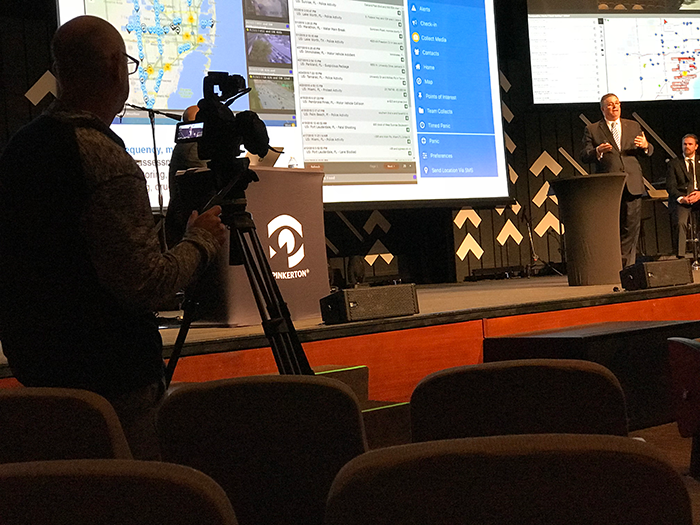 From the footage that we get at your Orlando, Florida event, we’ll produce a video news release that can be distributed to news stations, and/or used for promotional purposes. Read more about our videos for Public Relations or videos for marketing purposes. When you’re showing in a trade show, you’ll need to attract, retain visitors, and deliver your message effectively and quickly. We can produce a video that will help do this for you! Your video can include demonstrations, testimonials, product and company info, etc. We can produce high quality videos that create a positive response. Video added to a speech or teaching can bring that talk to a higher level. Check out what makes us pros at producing training and speaker videos. Designed to inspire any mood or attitude in your audience, these videos will affirm the key message, and create anticipation for the event. What's Next? Contact Us Now. Just call or use the form on the right to get in touch. We'd be happy to discuss your video project with you. We'll even give you some ideas that can help your video succeed. There's no obligation. "Working with Greg Ball and Ball Media brought an unmistakably new level of professionalism to our message and product. For starters, Greg's interview expertise elicited material from our supporters that we were not even aware existed, thus creating and invaluable asset for our organization on its own merit. Then, in post production, Greg worked with us until the product was right on. I could not be more pleased with the completed project. Thanks Greg!" We're happy to help you with your Orlando, Florida video production needs. Ball Media Innovations is reliable, and we deliver great quality consistently. Whether you're showing at a trade show, convention, conference or other live event, you'll be happy you contacted us. "From start to finish, the project was handled with professionalism and a strong attention to detail." "I had an incredible experience with Ball Media Innovations... professional, efficient, cost-effective"
"They were a pleasure to work with... I highly recommend this company." "I highly recommend Ball Media Innovations, Inc. and know that I can always trust Greg and his team..."
Job Seekers & Freelancers visit here. Copyright 2019 Ball Media Innovations, Inc. All rights reserved. This site is protected by Copyscape.